We have had some news in the making for a while, and it is finally time to share this with you. And it is all about the salmon that migrate up the river Mersey to their spawning grounds further upstream. Atlantic salmon (Salmo salar), the species occurring in our waters is an anadromous species – it spends its juvenile years in freshwater and migrates to sea to then migrate back to its river of birth to spawn. Salmon were long absent from our rivers due to the high pollution levels of the water. Since the improvement of water quality in UK rivers, we have been seen them return. Our local population is believed to spawn near Marple. The Trust has been monitoring migrating salmon at Woolston Weir (Warrington) for several years now, with data going back to 2012. However, the method of surveying the fish involved trapping the animals in the fish pass to be identified, measured, and assessed for injuries during a two week sampling period. This manual handling causes stress for the animal which should be avoided wherever possible. 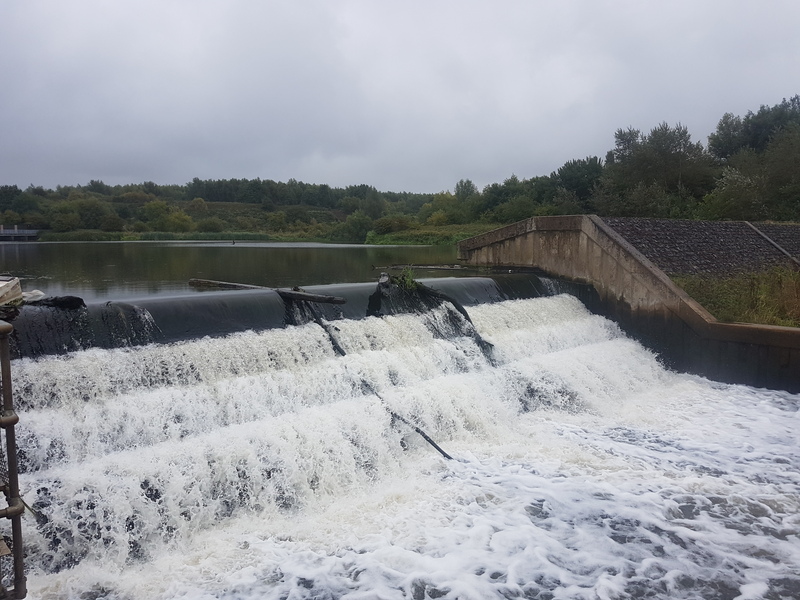 This is why in September 2018, the Mersey Gateway Environmental Trust installed a camera in the fish pass to monitor migrating fish, in particular salmonids. The camera, which came all the way from Iceland, picks up any movement and records a short video of the fish, giving us all the information we need to know, without having to handle the fish in any way. We have been waiting for the fish to migrate from September onwards and the 28th December we recorded a first salmonid on our camera. This is a great success and we are very happy about the first appearance of our Mersey salmon on camera. The camera will be in operation throughout the migrating season (September – January) in the hope to pick up more fish as they find their way upstream to their spawning grounds. Have a close look at the video and see if you can spot the fish that appears (00:08).